Elena S Blair is a Seattle, Washington family maternity, and newborn photographer specializing in custom lifestyle photography. Meet Elena S Blair & Chelsea Maccor, Your Photographers! Photographer or entrepreneur?? Join my newsletter just for you!! Well, hello there! I am Elena. Photography has become as much a part of my life as the air I breathe. But it wasn't always that way. Eleven years ago if you asked me if I was creative or an artist I would have laughed at you. I was working full time night shift as a Registered Nurse, had a newborn baby, and was suffering from isolation and exhaustion. Yet I thought I was living the dream. I thought I had "made it." I mean, I had a Bachelors Of Science and a mortgage after all. Shortly after my son was born my house was broken into in the middle of the day. It was one of the most violating experiences of my life. We were already broke and in debt up to our ears so this felt like more than we could handle. Yet for some reason we decided to spend our insurance check on a new camera, the Canon 50D. Call it what you will, but I don't believe in chance. Something inside me told me to just go for it. Something inside told me I needed an outlet and perhaps photography was it. I always trust my intuition. Little did I know that that purchase would quite literally change my life. Photography quickly became my obsession and it didn't take me long to realize that I loved business. Photography unleashed an artist and an entrepreneur that had always been inside me. I now operate a multi faceted, mini empire and I owe it all to that chance I took with purchasing that camera eleven years ago. I have a sincere desire to build community in the industry of photography. I love showing other women that they can pursue their dream to become a photographer and that they can build a meaningful and profitable business. I am obsessed with capturing families and newborns in a way that is artistic, real, romantic, and full of life and I absolutely fall in love with every single family who trusts me to capture them. I am a dreamer who believes anything is possible. I am so glad you are here. Elena S Blair is an award winning Family & Newborn photographer. She also owns and operates a Fine Art School Portrait business, is co owner of Blair & Thurston Retreats, and is co owner of Lady Boss Workshops. With nearly ten years experience, Elena has photographed hundreds of families and thousands of children making her Seattle's most sought after portrait photographer. 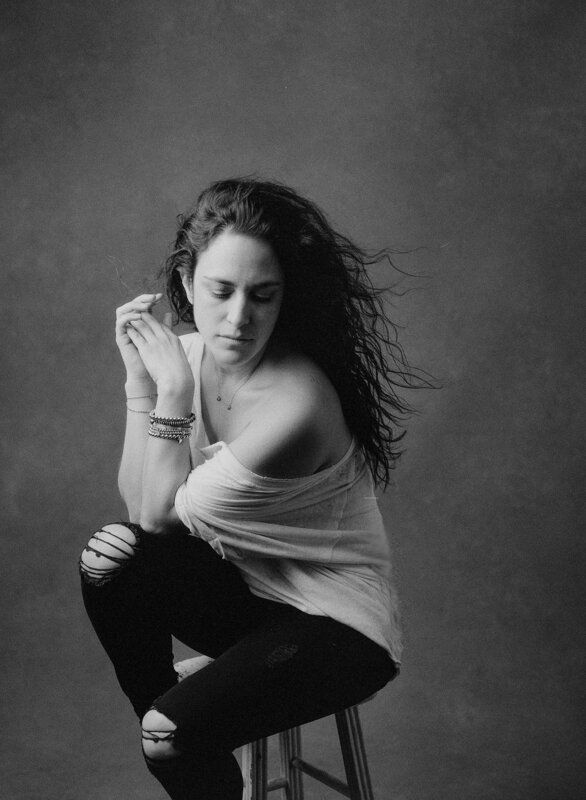 Her work and words have been featured on popular online publications like The Huffington Post, Click & Co Blog, Dear Photographer, Adorama, and many more. Her work has been published in Click Magazine and Capture The Moment. Elena teaches with online platforms including CreativeLive, KelbyOne, and Click & Company, as well as independently. She is an established public speaker inspiring photographers all over the United States to make meaningful art and build profitable businesses. We're excited to have added such a bubbly, kind and talented photographer to the team. Meet our associate photographer, Chelsea Macor! Hi. My name is Chelsea and I would love to take your picture. I am an oversharing, ice cream eating, family loving, smiling mama of one. Hailing from Texas, I now live with my husband, David, my toddler, Rufus, and our dog Wally in the Seattle area. The photos I take absolutely reflect what I believe to be the most important thing in life; the relationships you have with the people you love. This is what grounds me and helps me with my personal struggles. Laughing, crying, smiling- in motion and in stillness. My goal is to take photos that are whimsical and intimate- filled with light, emotion, and connection. I strongly encourage you to be silly, be in love, be you, and to let me share in that with you. So, let me grab my camera and a coffee, kiss my kid goodbye, and take your picture. Frequently asked questions about your Seattle family and newborn photography session with Elena S Blair. WHAT KIND OF PHOTOGRAPHER ARE YOU? Our work has been described as organic, natural, and sentimental with a fine art quality. We combine traditional and documentary photography along with family portraiture to capture genuine images for you to treasure for a lifetime. Imagine your family as fine art. As your photographer, we will provide a generous gallery of images that can be displayed in your home as pieces of art or archived in a custom album to be treasured for generations. These photographs will be an investment in your family history. Images from your session often tell a story, capturing a treasured moment in time. We do not try to make you look perfect, stiff, or unnatural. We are not after that "one" shot with everyone looking at the camera and smiling. Sure, we may get some with everyone looking and smiling, but I promise if we do, it will be because it happened naturally, not because it was forced. WHERE WILL MY SESSION BE HELD? We are natural light, on location photographers. Together we will choose the perfect location for your session. Newborn sessions are held at your home. WHEN DO NEWBORN SESSIONS OCCUR? We like to do newborn sessions within the first two weeks of life. WHAT SHOULD I WEAR? See my PINTREST board for ideas on what to wear. Be comfortable, be yourself. WILL I GET MY DIGITAL PHOTOS AFTER THE SHOOT? Photographs grow in value over time and become family treasures. We know the importance of archiving and saving digital images. We offer one simple, all-inclusive collection where you receive all the high resolution digital files delivered via direct download and a print release. A minimum of 75 digitals files will be available to you (but usually there are more! ), in both color and black and white. We also include a complimentary, predesigned album from your session. You will also have the option to buy additional prints and boutique products. WHEN, HOW AND WHERE CAN I ADDITIONAL PHOTOS AND PRODUCTS? Within four weeks of your shoot, you will receive a link to a private online gallery. You will have one month to order additional products. HOW DO YOU CHOOSE WHICH IMAGES IN MY GALLERY FROM OUR SHOOT? We look carefully at each and every image we capture at your session and hand select the best images. We are looking for images that represent us as artists and your family, as each is radically unique. We guarantee minimum of 75 images, but there are usually many more included. Lucky you! HOW FAR OUT ARE YOU BOOKED? We typically book one to three months in advance. If you are interested in newborn portraits, please inquire while you are pregnant. Already delivered? No problem. We try to leave openings in my schedule for last minute newborn sessions. DO YOU OFFER MINI-SESSIONS? No; mini-sessions are not conducive to my style. Like I said, I am not after that one great shot but rather a collection of images for lifelong appreciation. HOW MUCH DOES ALL OF THIS COST? Our pricing is all-inclusive. You pay one price for ALL of the digital files. Total cost is $$800-975 for newborn or family sessions, $500 for my petite maternity session (only available when booking with a newborn session). A $275 deposit is due when booking to secure your session date. HOW DO I BOOK A SESSION WITH YOU, ELENA? I am so glad you asked! You can e-mail me directly at info at elenasblairphotography dot com or via the connect tab above. Testimonials from clients who had their family photos in Seattle with Elena S Blair.